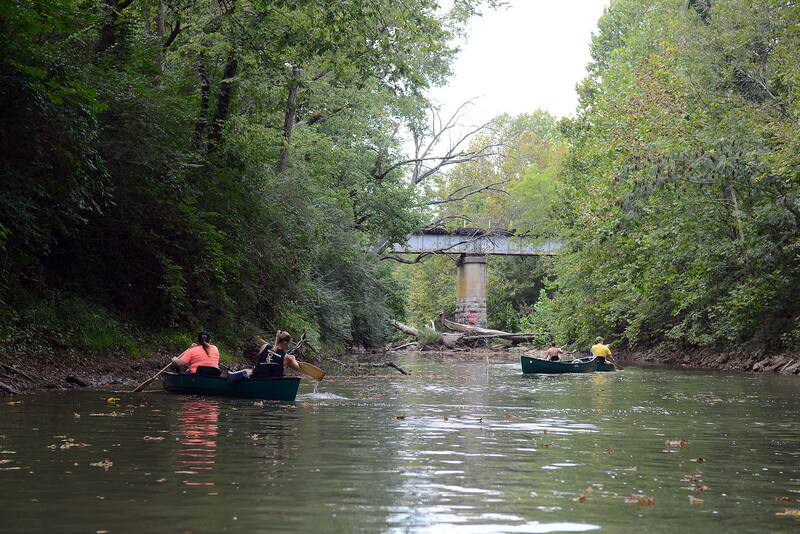 Eight students and two staff members participated in a clean-up of the Harpeth River last Friday, September 16 through FitRec’s Outdoor Recreation Program. The trip involved participants gathering trash from surrounding areas while canoeing along the river. This service opportunity happens annually and has been going on for roughly ten years. Despite low water levels making this year’s trip more difficult than previous ones, Jamie Zeller, director of fitness and recreation at Belmont, was surprised by the amount of trash collected and the students’ positive attitudes regarding their work. “I am always amazed with the amount of trash we collect each year and the passion in which students go about collecting it all. Some of it is in very hard-to-reach places, and they go in and get as much as they can without any complaints,” said Zeller.